This entry was posted in Fish, Silvery and tagged Dangleben's Pinnacles, Dominica. This entry was posted in Creatures, Crustaceans and tagged Dangleben's Pinnacles, Dominica. These fish are camouflage geniuses, but obviously they weren’t doing so well here. This entry was posted in Bottom-Dwellers, Fish and tagged Dangleben's Pinnacles, Dominica. 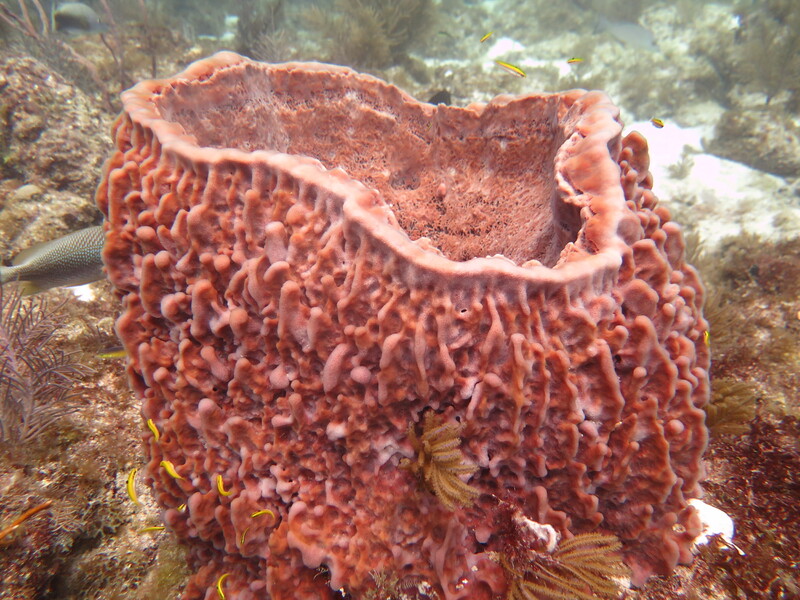 Notice the green frogfish sitting on top of the sponge! This entry was posted in Creatures, Sponge and tagged Dangleben's Pinnacles, Dominica. During the day they are tightly bound, but at night they spread out to capture plankton. This entry was posted in Creatures, Sea Stars and tagged Bahamas, Bimini, Dangleben's Pinnacles, Dominica, Road to Atlantis. This entry was posted in Creatures, Sponge and tagged Dangleben's Pinnacles, Dominica, Florida Keys, Ham, Islamorada.